The ProForm treadmill is an ICON Health & Fitness produced brand, a world leading manufacturer of gym equipment. Based in Utah, the company produces some of the best treadmills as far as performance quality and technological advancements are concerned. When choosing the best treadmills, the manufacturer is one of the things to consider. But now that you have already narrowed down to ProForm, what are the things to look for from the best ProForm treadmills. 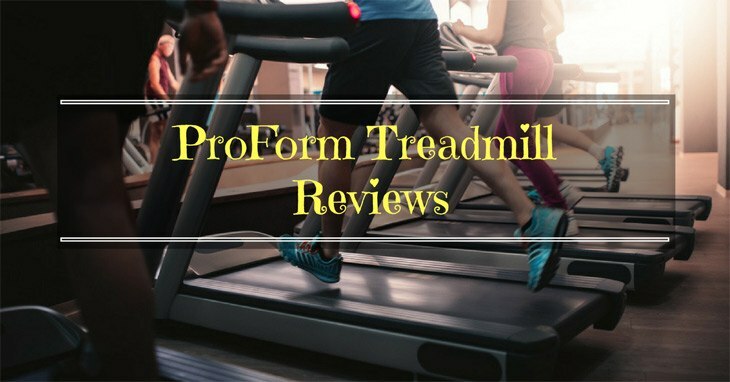 To begin with, let’s consider the ProForm treadmill reviews below. RangeIn most cases, you may not have a choice as far as pricing is concerned. This is especially the case when you are running on a tight budget. You may desire to have a more expensive product but simply because you aren’t able, you have to look for something within your budget limit. The cheapest ProForm treadmills when discounted will go for about $300. These are entry level products that will serve beginners quite well. It is however worth noting that the best ProForm treadmills are those that are a bit more expensive in price. ProForm treadmill reviews will give you a jest of which product is best within each price range. The best ProForm treadmills come with docks for iPods, have wireless internet connectivity, come with USB ports as a few come with tablet holders. These are all features that will make your workout more interesting as easier. Let the deck length be so long that it can accommodate your strides, especially if running is your primary workout. You also need to be comfortable on the machine while running, walking or jogging, all of which should be considered when you are choosing these treadmills. In a nutshell, consider ergonomics as well as aesthetics as you choose the treadmills. Most of the ProForm treadmills feature speeds ranging between 10 mph and 12 mph with most typical inclines ranging between 10 and 15%. If you find a product that moves faster, the better it is for you. And for incline, if you can afford it, go for that which has up to 15% incline capability. The best warranties should range between 3-7 years covering parts and at least a decade to a lifetime warranty on the frame. It should also have at least a year warranty of labor. Most of the ProForm Treadmills come with a lifetime frame warranty and it will be prudent that you get such a warranty as well, for the motor. The main feature to look for when it comes to storage is the folding feature. There are treadmills that can easily be folded into a compact design that can be stored in the small spaces within the home. You must however not worry about the folding feature if you have a gym room in your house, with enough space. Compact designs are also to be sought if you have little workout space to utilize. Caution should however be taken when it comes to lightweight construction. I would rather you consider the heavy-duty constructions as the lightweight ones have proven to be far less durable as they can easily break. This is arguably the best ProForm treadmill we have on the market. The treadmill has been designed with a number of impressive features that have played a big role in making the product to be versatile and impressive in performance as can be denoted from the numerous authentic online ProForm treadmill reviews. Versatile Construction: The design suits the jogger, the runner as well as the walker. In other words, it can be used by anyone and for numerous workout activity variations. Price: It is probably one of the best treadmills for the buck. The efficiency, at which it changes incline & speed, and the quality of the machine itself, can be compared to that of higher end products. 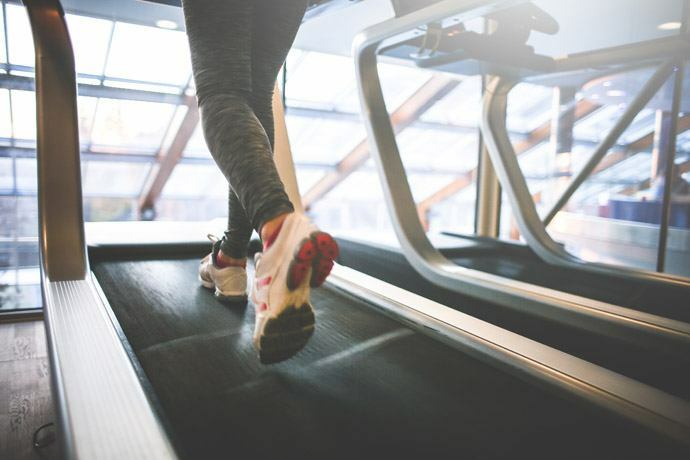 Maximum Benefits: The incline is so powerful that at the 15% incline, one is able to burn twice as much calorie as they would have burnt with other non-incline treadmills. The quick speed selection may be quite cheeky especially between 6.0 mph and 9.0 mph speeds as it can jump from 6 to 9. It comes with a bit of mildewed smell out of the box. This will, however, fade with time. Performance Inspiration: It features a 0 to 10 % incline range that helps transform your exercise plans from the same boring old thing to a versatile fresh challenge for better results. Good Weight Capacity: With a capacity of 325 pounds, only a few people, whose weights are in extremities, will not be able to work out on this treadmill. It is compact though, to save on space. Technological Motivation: You can now workout as you follow your progress on a large LCD console display and an inbuilt heart rate monitor for the same. An iPod compatible port also allows you to work out as you listen to music. Quality Motor Build: The treadmill features a commercial plus motor that features high-grade components, which are designed to keep cool and offer smooth & quiet performances no matter what load it is carrying. This also extends the product’s life. This is yet another great treadmill, the second best ProForm treadmill as per my analysis. The product comes with technological features for tracking and comfort. It also comes with durable front wheels that make transport and movement to be easy. But the most important feature is its ability to offer durable versatile effective performance. Comfortably Workouts: Who said that workouts should come with mind disturbances and physical injuries? This treadmill features iPod compatibility for the comfort of mind whereas the ProShox Cushioning reduces risks of blister formation. Quality Design: Other than just the durability, it features an ergonomic design as well as a SpaceSaver design all of which compound to make the product be referred to as a quality treadmill. This is yet another treadmill that features 18 different resistance level workouts that have been designed to take you through from the beginner to advanced levels. You will therefore steadily progress without having to strain yourself more than you can bear. With a weight capacity of 350 pounds, buy this treadmill and slowly but steadily workout to reduce your weight as you tone your muscles to your desired levels. More Energetic Workouts: This is made possible by the fact that you can plug in your iPod and workout while listening to your favorite tunes. Price: Its functionality and quality are comparable to those products that cost twice as much as its costs. It is backed with a 25-year motor warranty. Quality Results-Oriented: With the target pacer, inertia-enhanced flywheel and oversized adjustable pedals among other features, you are guaranteed of getting the best workout results possible. A quick search through ProForm treadmill reviews is enough for one to make the decision of going for the product. This is one of the best ProForm treadmills you can commit your to, for cardio workouts as well as muscle toning exercises. The product makes it easy for users to get excited about thus psyching them up to jump aboard and get going. Its top selling features are the iFit technology and the incline training capabilities. Technology: Comes with a 6-inch backlit display, 22 workout apps, and 12 MPH quick speed, all of which make your workout more exciting. Quality Construction: One of the most portable treadmills out there. Upon being done with working out, with one easy push, you can fold up the deck for storage. The 12% incline, on the other hand, is a quality performance feature to give the user a little extra burn. Quality Construction and Warranty: A lifetime frame & motor warranty together with a year and three-year warranties on labor and parts respectively indicates how much quality a product it is. Installation is a real tall order. ProForm comes with some of the widest range of treadmills as far as features and prices are concerned. The advantage of this is that almost everyone will get a product that befits their interests and budget. There is only one downside to such diversity. The lower priced products aren’t as durable and lack important qualities. The﻿﻿ best ProForm treadmills are therefore the more expensive in price. The good news though is that at all the price ranges, ProForm treadmills tend to be more superior than their counterparts within the same price ranges. You may have a clear picture of what you want, but there is no doubt that the best way of making an informed decision is by going through the ProForm treadmill reviews to prove whether the product works as advertized. I’m not quite sure how to say this; you made it exeremtly easy for me!